An awkward young woman. A haunted young man. A forbidden instrument. Can the love of music bring them together . . . or will it tear them apart? Bath, England---1810 At twenty-eight, Alethea Sutherton is past her prime for courtship; but social mores have never been her forté. She might be a lady, but she is first and foremost a musician. But when a thief’s interest in her violin endangers her and her family, Alethea is determined to discover the enigmatic origins of her instrument . . . with the help of the dark, brooding Lord Dommick. Scarred by war, Dommick finds solace only in playing his violin. He is persuaded to help Alethea, and discovers an entirely new yearning in his soul. Alethea finds her reluctant heart drawn to Dommick in the sweetest of duets . . . just as the thief’s desperation builds to a tragic crescendo . . . I will say, I haven't read a whole lot of regency set stories, but the few I have read have been very enjoyable. 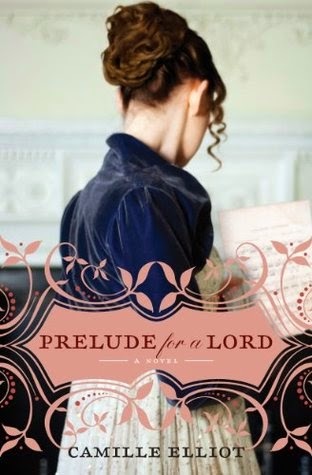 Prelude to a Lord was a little different then most of the regency era books I've read in that it was a little lighter on the protocol of the time and I loved that! This story focused on friendship. Friendship of Lord Dommick and his buddies Ian and Raven, Dommick and Alethea, and of Aletha and her half sister Lucy. I loved all each of these relationships played out and how strong each of these friendships were, or what they became. Alethea was also a unique heroine to the story, in the best way. She had many things going against her in life, but that didn't stop her in trying to reach for her goals. Alethea wasn't a great beauty, she was a spinster to society at her age, and she played the violin, a very masculine instrument. Despite the rumors that floated around her and the harsh criticism she suffered from her dead father and brother, she pursued her passion for music and held her head up high and didn't let the rumors get to her. She actually used the rumor mill to her advantage. Lord Dommick was an interesting character to get to know. He seemed brooding at first, but as you see who he is and the past he has lived, you start to understand why he is the way he is and you come to appreciate why he is so protective of his family and of his friends. And his friends are fantastic! The humor and the jabs amongst them reminds you that of brothers. I also enjoyed how this story focuses on a mystery that was full of music. It was a wonderful background for the characters to connect on. Even though each have their own backgrounds, it is nice to see them all have such a dominant part of their lives to bring them together and grow their relationships. The mystery was fun to follow and it was hard to figure out where it was leading. I was very intrigued to see where it led to. However, as the story was coming to a close, I was worried there wouldn't be enough pages left to close it out, but there was...I was kind of sad about that though. I was hoping there might be a cliffhanger and allow us to stick with these characters just a little longer. I enjoyed them! Camy writes Christian romantic suspense as Camy Tang and Regency romance under her pen name, Camille Elliot. She grew up in Hawaii but now lives in northern California with her engineer husband and rambunctious dog. She graduated from Stanford University in psychology with a focus on biology, and for nine years she worked as a biologist researcher. Then God guided her path in a completely different direction and now she's writing full time, using her original psychology degree as she creates the characters in her novels. In her free time, she's a staff worker for her church youth group and leads one of her church's Sunday worship teams. She also loves to knit, spin wool into yarn, and is training to (very slowly) run a marathon. 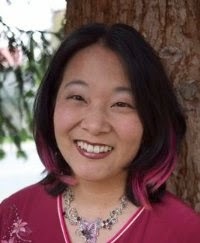 Visit her website at http://www.camytang.com/ to read free short stories and subscribe to her quarterly newsletter. Thank you to BookLook, I received a copy of this book for free in exchange for an honest review. Thanks so much Kate! I'm so glad you enjoyed my book! I just finished this book last night! I was so sad when I read the last page because I loved it so much. It was beautifully written and I loved the humor in the novel. Alethea was so witty! But I agree with you that the relationships between characters did really make the book shine. Thanks so much DL! And thanks a bunch for your review! Camy, It was a fun book to read. Thank you for writing it and sharing such a fantastic story! DL, Completely, agree, the humor was great! It was full of wit. The relationships were so strong and it helped band the groups together, instead of pulling them apart. The strength of the friends was fantastic.